"I can tell you now, the devastation is worse, I think in July 2016, which is hard to imagine, because back then we all said that it looks like the set of a catastrophe movie," he said , Much of the devastation had been repaired when the storm hit Sunday, Kittleman added, and more than 90 percent of its stores had reopened. One resident, Isabelle Levine, worried in an interview that this would not happen again. "When Old Ellicott City comes back after that, I'm going to be amazed," she said. "I would give up as a business owner." On the Gulf Coast, meanwhile, residents were preparing for the worst of Alberto's strong winds and heavy rains to arrive on Monday. Jo Newton of Panama City said she was filling up sand bags "so the water will hopefully not come in my front door." "I'm really scared of the amount of rain that's being predicted," she said. 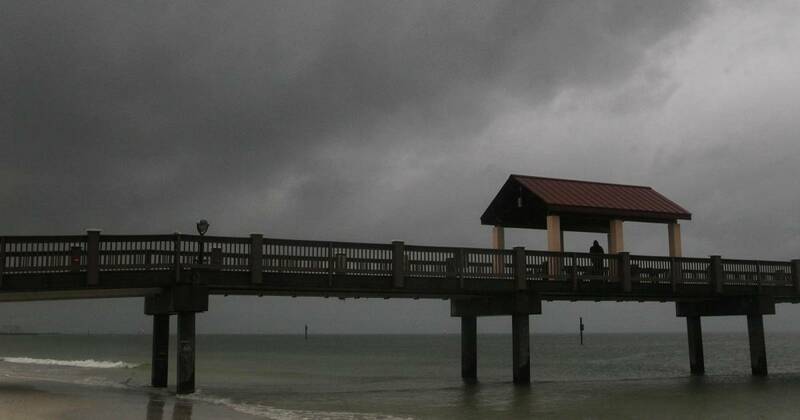 Tropical storm warnings were in effect from Anclote River, near Tampa, to the border between Alabama and Mississippi, while officials warned that a powerful storm surge could flood Florida's Gulf Coast. 65 state troopers were switched to 12-hour shifts and dozens more were intended for "quick response" teams.